Use this website to quickly find the most important information about Tel Aviv Ben Gurion Airport or Tel Aviv Airport: Flights (Departures, Arrivals and Delays), Parking, Car Hire, Hotels near the airport and other information about Ben Gurion Airport. 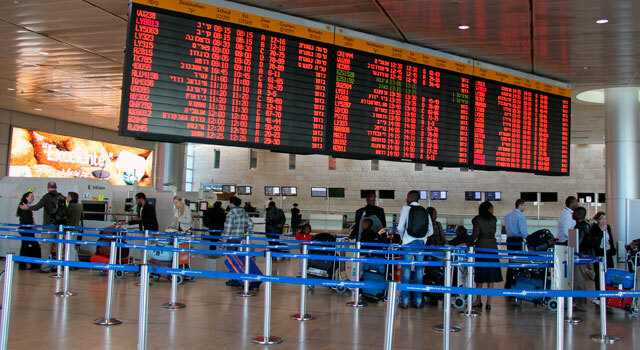 Plan your travel to TLV Airport with the information provided in this site. Tel Aviv International Airport or Ben Gurion Airport (IATA: TLV, ICAO: LLBG), sometimes referred to today by its Hebrew acronym Natbag, is the largest and busiest international airport in Israel. It is located 19 km (12 mi) to the southeast of Tel Aviv. It was known as Lod Airport from 1948 until 1973, when the name was changed to honor Israel's first prime minister, David Ben Gurion. 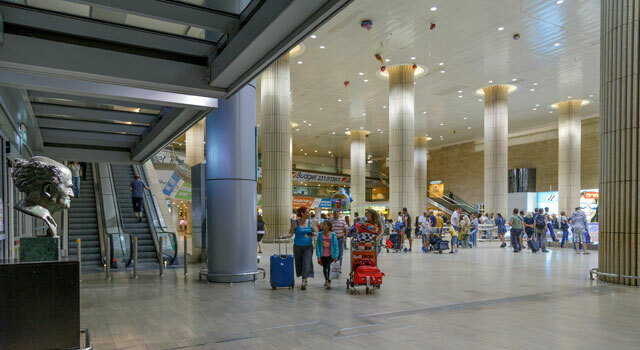 Because of its proximity to Tel Aviv and its location within the metropolitan area of Tel Aviv, Ben-Gurion International Airport is often refered to as Tel Aviv International Airport. 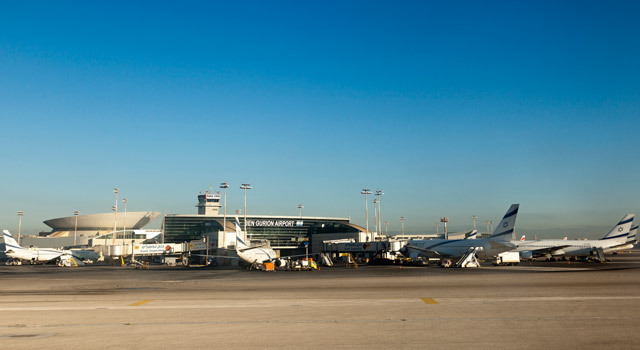 Tel Aviv's other airport is Dov Hoz Airport Sde Dov (code: SDV), located at the north of the city and serves as a major airport for domestic flights. This airport is considered one of the five best airport in the Middle East. Ben Gurion International Airport (code: TLV), is Israel's main international airport for passengers and freight traffic. In 2017, Ben Gurion Airport handled over 20.7 million passengers and 136,956 flight operations. 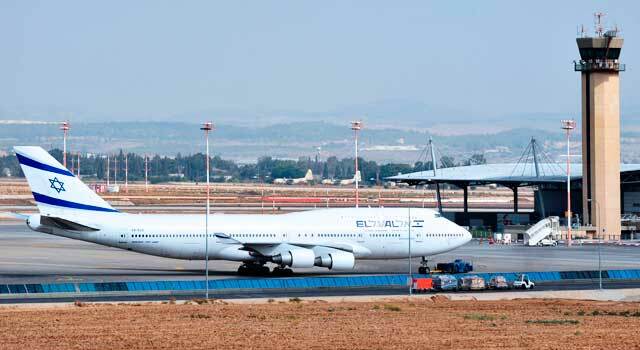 The airport serves as a hub for the following Israelian airlines: El Al, Israir Airlines, Arkia, Up and Sun D'Or. Tel Aviv Ben Gurion International Airport is near the town of Lod, 19 kilometers (12 mi) southeast of the capital of Israel, Tel Aviv. - Bus: Egged, Kavim and Metropoline bus companies provides service from Ben Gurion Airport to different destinations. - Train: Israel Railways operates train service to and from Ben Gurion airport to certain parts of the country. - Taxi: Get within approximate 20 minutes to downtown Tel Aviv. Taxi stands are located outside the arrivals building. Ben Gurion Airport is considered one of the world's most secure airports, with a security force that includes Israel police officers, Israel Border Police and IDF. Airport security guards operate both in uniform and undercover to maintain a high level of vigilance and detect any possible threats. 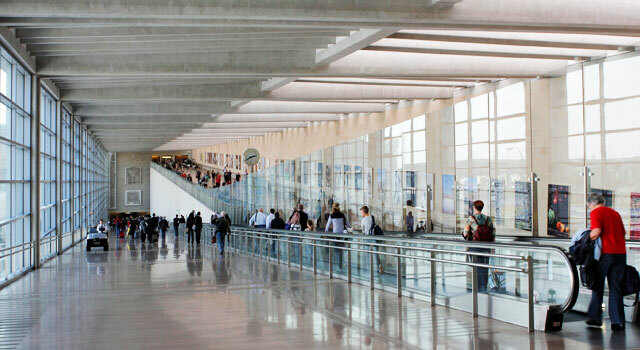 Tel Aviv Airport consist in two terminals: Terminal 1 (domestic) and Terminal 3 (international). Tel Aviv Airport is served by a couple of shuttle bus which not only connects Terminal 1 with Terminal 3, also to the train station and the parking facilities. - 2 active Terminals: Terminal 1 and Terminal 3. - 3 runways disposed as a triangle. - More than 70 airlines are currently operating at Tel Aviv Airport, but some of them only have seasonal flights. - It's one of the best ariports in Middle East due the passenger experience and the high level of security. Items lost at Tel Aviv airport facilities: Location: on the west short-term parking lot known as “Vineyard Parking Lot” (Ground Floor).